Frida Kahlo stepped into the limelight in 1929 when she married the Mexican muralist Diego Rivera. She was 22; he was 43. Hailed as Rivera’s exotic young wife who ‘dabbles in art’, she went on to produce brilliant paintings, but remained in her husband’s shadow throughout her life. Today, almost six decades after her untimely death, Kahlo’s fame rivals that of Rivera and she has gained international acclaim as a path-breaking artist and a cultural icon. Cutting through ‘Fridamania’, this book explores Kahlo’s life, art and legacies, while also scrutinizing the myths, contradictions and ambiguities that riddle her dramatic story. Gannit Ankori examines Kahlo’s early childhood, medical problems, volatile marriage, political affiliations, religious beliefs and, most important, her unparalleled and innovative art. Based on detailed analyses of the artist’s paintings, diary, letters, photographs, medical records and interviews, the book also assesses Kahlo’s critical impact on contemporary art and culture. Kahlo was of her time, deeply immersed in the issues that dominated the first half of the twentieth century. Yet, as this book reveals, she was also ahead of her time. Her paintings challenged social norms and broke taboos, addressing themes such as the female body, gender, cross-dressing, hybridity, identity and trauma, in ways that continue to inspire contemporary artists across the globe. Frida Kahlo is a succinct and powerful account of the life, art and legacy of this iconic artist. Gannit Ankori, Professor of Fine Arts and Chair in Israeli Art, Department of Fine Arts and Schusterman Center for Israel Studies at Brandeis University and is currently a Research Associate and Visiting Associate Professor at the Women's Studies in Religion Program at Harvard Divinity School. She has published and lectured extensively on Palestinian art since 1987 and is the author of numerous articles and two books on Frida Kahlo, among which is Imaging her Selves: Frida Kahlo's Poetics of Identity and Fragmentation (2002). Frida Kahlo: Art, Life, Diary (2003) and Palestinian Art (Reaktion, 2006). 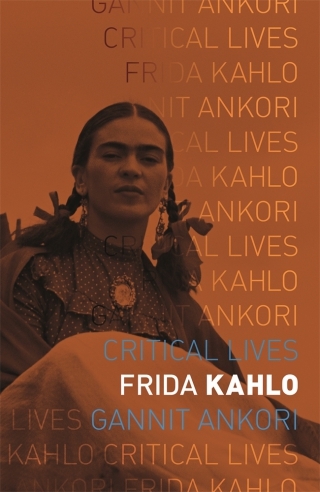 She curated the Kahlo exhibition at the Jewish Museum of New York in 2003& and published a recent catalogue essay for the Frida Kahlo retrospective at Tate Modern, London (2005).